As a new comer to Bottesford, I joined the Woll surgery and learned that it is named after a remarkable lady who looked after her patients in and around Bottesford for many years. In 2004 the British Medical Journal published an obituary of Dr Woll, who passed on during May of that year. 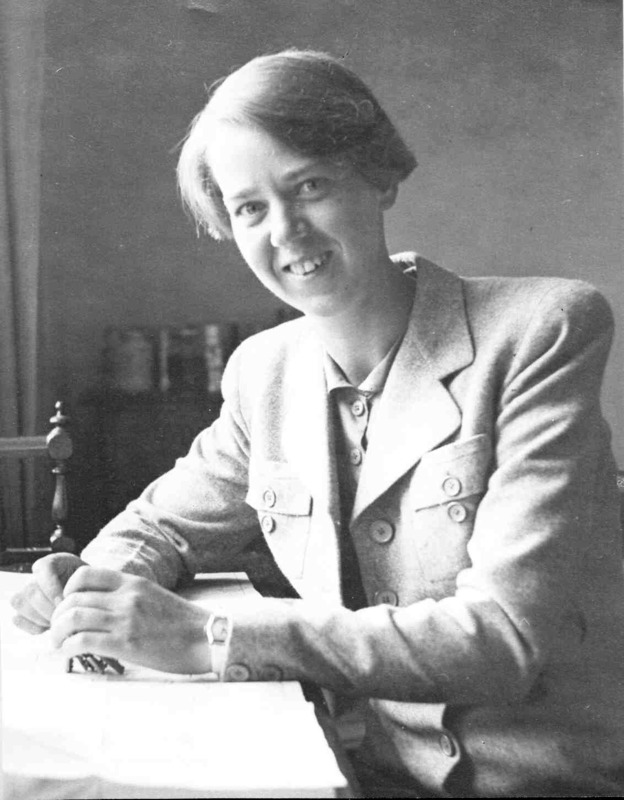 In addition to describing her early years in the British Army in India during the Second World War, and her subsequent training with Sir James Spence, it also states the remarkable strength and determination with which she dealt with the effects of major cranial surgery in 1956, and kept on working. She was ninety when she died. There are many that remember her, and we welcome your comments and any further information you wish to add about Dr Woll and her life. Please either add a comment or register with this site and add a longer contribution. We would also be grateful for photographs showing past medical care in the parish. This page was added on 14/01/2007. The distinctive sound of Dr. Woll’s light blue three-wheeler AC Invacar always announced her arrival on home visits. Any offer of assistance on entry to the house would be politely but firmly declined. Young children were drawn to her lively sense of humour and delightfully engaging laugh. Part of her remedy for any ailment was the fun of consulting her and of course for the children the end of visit ritual of choosing from the ever present tin of sweets. Her commitment to the values of a National Health Service, which is free at the point of delivery, showed in her tireless pursuit of what might be needed to aid your recovery. Not least in this was her approach to prescription charges which she frequently insisted on being carried by her practice and not the patient! A truly caring and compassionate person it was a privilege to be registered with her general practice. As a child I remember with fondness my visits to see Dr Woll and of course Nurse Hills. The place had a smell all of its own and I remember with fondness the small waiting room with it’s Pew like seating, you could look out through the window onto to garden it was lovely. I remember going down the ‘glass’ corridor to see doctor and when you were done she always had a big tin of quality street and you could take your pick. Fond memories. “Many thanks for your interest in my aunt, Dr Kathleen Woll, who was a well-known figure in Bottesford for about 50 years. She lived adjacent to her surgery, at 2 Manor Road, Easthorpe. The practice area extended from Sedgebrook to Stathern, so she was often to be seen in her little blue invalid car on the narrow country roads. I enclose two photographs, one of her as a young doctor, the other in later life. I enjoyed looking at you website and wish you success with it. I remember Dr Woll when I was a child growing up in the 1970’s also Dr Spalding was the other villiage Doctor. 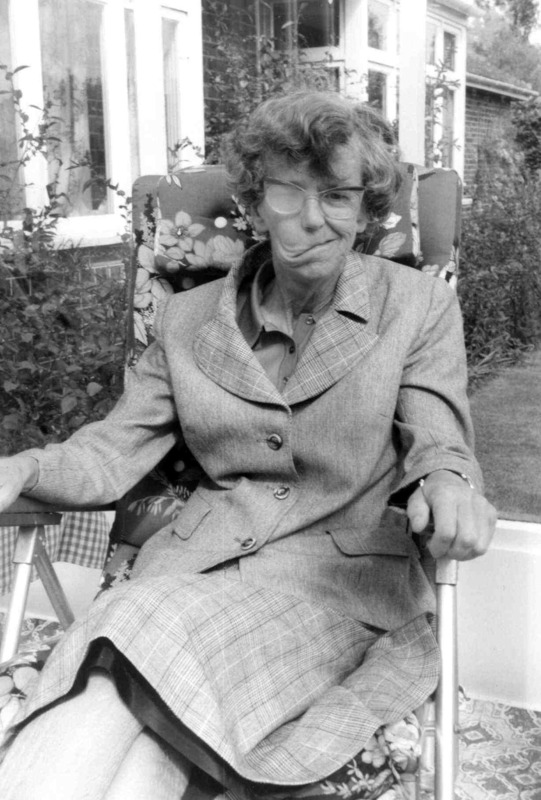 I well remember Dr.Woll…I am from Bottesford …I left & came to America in 1977….I remember her very well..one always had a feeling of having been treated & nurtured at the same time…a truly wonderful lady. As a child I remember visiting Dr Wolls surgery with the ever present tin of quality street. I also remember her dog, a spaniel – Nugget, that I used to walk every weekend along with her housekeepers ( Audrey Mann) terrier – Rusty. I was brought up in Easthorpe at Winterbeck way and finally lived on Belvoir Avenue in Bottesford. I was treated by Dr Woll from a baby. She was influential in my survival. I well remember the blue car and the tin of Quality Street. Most of all I remember her as loving, and friendly, welcoming and warm. All of which overcame a child’s apprehension of her illness, she was just lovely how she was. My nana said she used to drive an open topped car with her long hair flowing and I guess she was just as nice then. I remember Dr Woll visiting a dear friend of mine who was ill upstairs in bed, in a small cottage with steep, bendy stairs. We offered to help her up the stairs but she would accept no help at all and successfully made her way up and down.